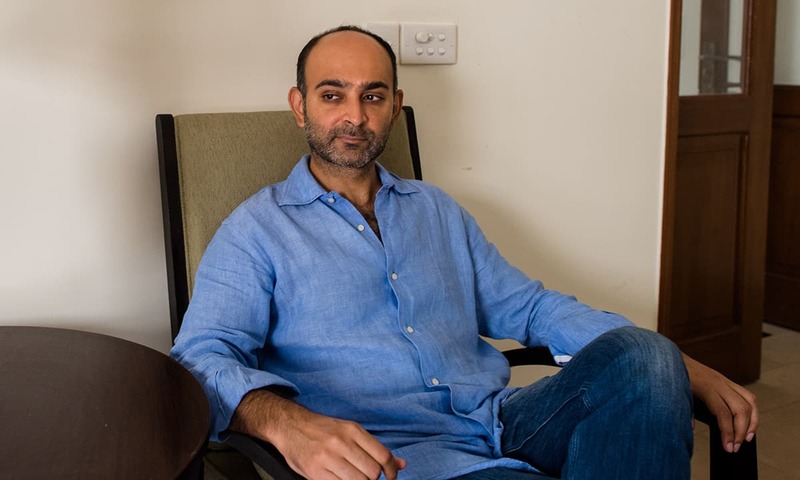 For nearly two decades, Mohsin Hamid has been successfully using the form of the novel to chronicle a particular epoch — Pakistani euphoria in the wake of nuclear tests in Moth Smoke (2000) , consequences of post-9/11 Islamophobia in The Reluctant Fundamentalist (2007) and the recent economic ascendancy of Asia in How to Get Filthy Rich in Rising Asia (2013). In his latest novel, Exit West, Hamid continues to document a particular moment in world history, but for the first time uses magical realism to explore one of the most pressing ethical and moral conundrums facing our contemporary society: how to address a refugee crisis. 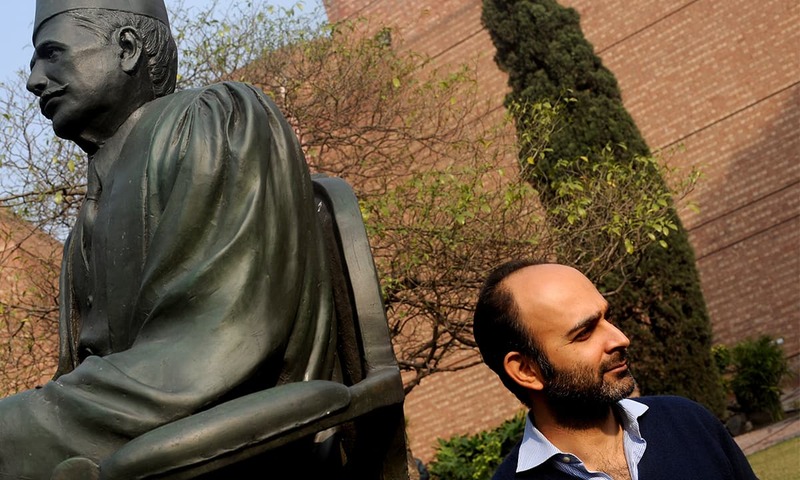 In an unnamed city, Saeed, an ad-man, meets Nadia, an insurance agent, in a class on “corporate identity and product branding.” Saeed wears a beard but “not a full beard” and Nadia doesn’t venture outside without her black robes, not for devotional reasons but so that men will leave her alone. As their love blossoms in subsequent months, the city is laid siege by militants. Those who have come to seek refuge in the unnamed city find the locals fleeing en masse. Everyone is looking for enigmatic black doors that function like wormholes to escape the collapse. A sense of urgency, and edginess, runs through the narrative, heightened by Hamid’s crafted, minimalist prose . The novel was shortlisted for the Man Booker Prize 2017, and in August of the same year the Russo Brothers acquired the rights to produce a film based on it. I spoke with Hamid when the novel had just come out and we talked about, among other things, what it means to be a writer in this day and age. Mushtaq Bilal. I was going through the conversation we had in Lahore back in 2014 when your novel How to Get Filthy Rich in Rising Asia had just come out. I remember asking if you felt any responsibility as a writer and you replied in the negative. But Exit West appears to be the work of a writer who has a very deep sense of responsibility – social and moral responsibility. 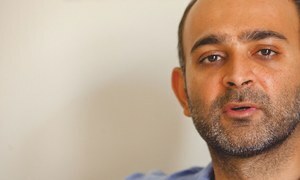 Mohsin Hamid. What I meant was that I don’t feel there is any responsibility that writers have which comes from the outside. You can’t say [something] is your responsibility or somebody else’s responsibility. As a writer, the only responsibility is what you personally feel. That doesn’t mean that you don’t feel any responsibility for the world around you. You might feel the responsibility for the world around you and if you do, certainly you can write to address those concerns about the world around you. And I do that too. The idea of a writer’s responsibility to the world is a very personal question. It’s not the same thing as saying I don’t feel any responsibility for the world but that my responsibility as a writer is not defined by the outside world. MB. In a world like this don’t you think there is an inevitable responsibility for a writer like yourself? MH. You keep saying “responsibility”. I think that I am nervous of that word because in Pakistan this word is used in a particular way. Like it is your responsibility to be patriotic, it is your responsibility to be a good Muslim, etc. That’s why I do not like the word responsibility. But do I think that as individuals we have a conscience and that we are politically engaged, each one of us in our own different way. MH. I am nervous of responsibility because I am nervous of censorship and I am nervous of other people telling me to do what I need to do. But as an individual I do feel the connection to the world around me and I am politically engaged. In that sense, yes, there is a sense of personal responsibility. MB. Early in his presidency, President Trump issued an executive order banning migrants from seven Muslim countries. In 2016, Pakistan deported more than 700,000 Afghans, most of whom were born in Pakistan. MH. If you pick up Herald’s Annual 2017 issue, you will find an essay by me arguing that we should not deport Afghan refugees, that actually it is morally wrong to send Afghan refugees back to Afghanistan. What I argued is that just as we are concerned about the treatment of Pakistanis or anyone in other countries, we should certainly be acting as an equal moral authority in our own country. To eject Afghan refugees seems completely misguided. It should be possible to maintain our national security without a gesture that involves throwing out hundreds of thousands of people, because 99.9 per cent of these people have nothing to do with terrorism and are no threat to Pakistan. And to treat them all like potential criminals is totally wrong. MB. How do you rationalise this constant, pervasive fear of migrants around the world? MH. I think people are very frightened generally. The world is changing very rapidly and that creates a fear in people. MH. They are frightened of the world. Technology is changing, the economy is changing, society is changing, politics is changing, culture is changing, and all these things are changing very rapidly everywhere. For my grandparents, the world of their grandparents was not so different. But for my children, the world of their grandparents was very different. The speed of change is getting much more rapid and that creates anxiety in everyone. Then the question is what do we do with this anxiety and fear about change? It’s very easy to direct this anxiety towards vulnerable scapegoats and I think migrants are those vulnerable scapegoats. In America, so many people are shot dead by fellow Americans and very few are killed by terrorism, and most of the terrorism is done by American citizens and not by foreigners. It is very easy to convince people that Muslims are a great threat and they are going to kill you. The same is true in Pakistan. Most of the violence that comes from terrorism in Pakistan has to do with Pakistan’s own horrible policies towards militants. But it’s very easy to tell people that it has nothing to do with us and that it has entirely to do with Afghans, with refugees, and evil hands across the border. I think, partly, the global fear of migrants is because people are already anxious and afraid and it’s very easy to convince them that the reason that they should be afraid is this other group. And that is being done by politicians everywhere. And sadly in Pakistan it is as much as it is in Europe. MH. In other words, it would be one thing to say: yes, we live in a very frightening world, yes, things are changing very rapidly. And so what are we going to do? We are going to make sure our education system is very good, we are going to make sure that every Pakistani has access to decent health care, we are going to make sure that we will train our workers to compete in the world, we are going to make sure that courts work very well and protect our rights — so even though things are changing, we will each be taken care of. We could have that policy. But that policy goes against many vested interests. And it’s easier to say [that] we won’t do any of that. We’ll just pick some group of enemies abroad or in Afghanistan and make them into our demons. MH. Yes, creating an enemy is always easier than addressing the built-in structural problems in your society. MB. Your novel The Reluctant Fundamentalist was modeled on Albert Camus’s The Fall. In Exit West, I feel there are quite a few Sartrean traces, most notably the title, which seems to echo the title of Sartre’s play No Exit. MH. To be very honest, it’s entirely possible, but I wouldn’t say that there was a Sartrean connection in my mind. That said, who knows; one’s influences are not clear. MB: No Exit is famous for its line “Hell is other people.” In your novel too, characters are afraid of others. Natives are afraid of migrants and one type of migrants (Saeed) is afraid of another kind of migrants (Nigerians). M. Everyone is a migrant. Each one of us. We are either migrants in geography or in time. Every human being is a migrant. Whenever we see one group of people or a person afraid of another, we are seeing one migrant afraid of another migrant. In that sense, Sartre’s “Hell is other people” is the opposite of what I am trying to get at — which is, of course, we fear other people, but for Sartre the idea of transcending that fear and achieving a real, meaningful connection with other people seems to be very difficult, whereas for me the only hope we have is to transcend that fear and find an actual meaningful connection despite that fear. MB. Do you think we as human beings can imagine a world free of xenophobia? Do you think it’s possible for people like Saeed and Nadia to imagine themselves except in relation to a so-called ‘Other’? MH. I think actually one of the most important things that we can do as individuals at the moment is to break down this concept of the Other. There is no Other. In many ways, Saeed and Nadia move out of where they come from and they arrive at a different place and they begin to blur what’s around them at that place. They become changed [by] what they encounter and to a certain extent they resist this temptation to create a new Other in opposition to themselves. To an extent they are successful in not ‘othering’ other people, but they are humans after all, and with Saeed the Nigerians become his Others, and he still wants to be with people who he thinks [are] his own. But I think it’s possible to have those feelings and not let them become pathological. You can have a sense that the Other exists without letting that sense rule you and govern your behaviour. And I think both Saeed and Nadia get to a place where even if they might feel a sense of the Other, it’s no longer the dominant force in how they behave. MB. So we can live in a world free of xenophobia and still we can have an idea of the Other? MH. Well, not exactly. The impulse to imagine that there is an Other is very strong. Will we ever be completely free of an instinct to imagine the Other? Possibly not. But can we be aware of it? Can we be critical of it? Can we resist it? Yes. And the most potent way of resisting it is to recognise that the people we think of as the Other actually have a great deal in common with us and we have a great deal in common with them. That way [resisting] begins to break down the Other. Will we completely escape from the Other? Maybe not. But could it be a much weaker and less dangerous form than it is today? I think, yes. MB. Do you think technology is going to have any play in that? MH. It’s unclear. I don’t think technology goes one way or the other. On the one hand, through Twitter or Facebook, we can experience all kinds of different people who are very different from ourselves. And yet, it seems that on these social media [sites] we tend to surround ourselves with people who are just like us. I don’t think technology is an answer. Technology simply amplifies what people already have. The answer remains a human answer. We have to find human solutions and not expect technology to take care of this. I don’t think technology is the evil. It is human behaviour which is the main thing. MB. In recent interviews you have said that the reason for keeping places and characters nameless is to draw attention to censorship. As someone who has been writing for more than two decades now, how has your relationship with censorship evolved? MH. Self-censorship seems to be the most pernicious form of censorship these days. For many of us, at some places, you literally cannot say what you want to say. But in many places you want to be careful. If you say certain things you can get into trouble or you can get killed or you can get victimised. So self-censorship becomes a concern. But that’s not new. Sufi poets have been engaged in dealing with this question for over a thousand years. Society has always required writers and artists to find ways of communication which circumvent the restrictions around them. MB. Were you as aware of self-censorship as you are now when you started writing back in your early 20s? MH. It is difficult for me to remember. Certainly, I was not unaware of self-censorship even 25 years ago. That said, perhaps one is more aware of it now because it seems that the violent backlash against free expression has increased in the last 25 years. [But] I wouldn’t say that self-censorship has increased in the last 25 years. The need to find ways of expression that circumvent the barriers towards expression is always there. It’s not just about self-censorship. Sometimes you want to reach people whose political views are very different from your own. How do you write a novel or a story that does that? What kind of language do you use? How does everything come together to overcome these obstacles? These are all choices that writers have to make. Self-censorship is a potent force but I also think it creates an opposite reaction, which is the desire to find a creative expression that subverts [censorship]. So there is a balance between the impulse to self-censor and the impulse to overcome self-censorship in a creative way. MB. Do you think self-censorship forces you as a writer to come out of your comfort zone because you have to say certain things while at the same time not saying them? MH. The things that one wants to say, which are difficult to say, are precisely the most important things to say. When you feel that you are blocked from expressing something and it’s important to you, that becomes the thing you want to talk about. So not only in Pakistan but all over the world there are so many things that one can say which are dangerous. Some of those things are important to you and so you find a way to express those things. MB. In your writings you have called migration a fundamental human right. Don’t you think the institution of the nation-state – at least the way it is constructed and perceived in the contemporary world – is inherently anti-migration? MH. A nation-state tries to limit migration from outside of its borders but in another sense facilitates migration within its borders. So the great movement of people from Khyber Pukhtunkhwa to Karachi, which is a massive migration, has occurred because of the nation-state of Pakistan. So nation-states try to stop one kind of migration and but enable other kinds of migrations. The mass movement of people from rural Punjab to Lahore is a migration inside the nation-state of Pakistan. And many more people are moving from rural Punjab to Lahore or [from] Khyber Pukhtunkhwa to Karachi than are people who are moving from Lahore to Dubai. Internal migration in Pakistan is much bigger than Pakistanis migrating to other countries. But if you mean international migration, yes, you are absolutely right. Nation-states do try to control and restrict this and in that sense I think the nation-state is a concept that we have to rethink for the future. People these days have multiple nationalities and one can earn or acquire a nationality. So it cannot simply be that some ancestral bloodline or caste determines your nationality. MB. I asked this because it’s the nation-state that uses labels like citizens and immigrants and refugees. MH. [That’s] because we look to states for protection and the state says that it will protect us. That’s what a state offers to each of its citizens. But in the modern world where the economy is global, where the environmental consequences [of our systems of production] are global, where refugee crises are global, the nation-state is losing its ability to protect us. And to reassert the ability to protect us it’s trying to make itself into a prison with complete surveillance and no privacy and the victimisation of minorities. So we must ask ourselves: do we wish to allow the nation-state to become a prison in the service of protecting us? And if we don’t, we have to rethink what the nation-state is and we have to rethink global governance at a level above the nation-state. MB. Do you think there is any relationship between migration and democracy? MH. I think that, on the one hand, migration poses a challenge for democracy because what if people don’t want migration? Then it seems undemocratic to allow migration. I think the reason for that is democracy itself, at the level of [the] nation, is a flawed concept, because why is it all right to consult the democratic views of those nationals and not the rest of the world? For example, a citizen living in Syria is faced with death and flees to Europe, but a European country has democratically voted to not let this Syrian in. What about the rights of this person who want to come in? They were not involved in that democratic process. I think national democracy to the extent that it doesn’t allow people outside of the nation to exercise any kind of democratic input is a limited democracy. And if we are serious about democracy we will have to start thinking increasingly about democracy at the global level. Just because democracy exists inside a nation-state does not mean that it is, on the subject of migration, immediately correct. There are other constituents who might need to be consulted in that democracy before we can come up with an answer. MH. We have to rethink democracy and we have to rethink the idea of the nation-state as the locus of political activity. It might well be that in the next century the most important location will be at a regional level, at a level of, let’s say, a province or a city or a town, and [also at] a larger level, at the level of a continent or the world. It’s not necessarily the case that the nation-state is the most important level at which we should freeze all of our political development. For example, the city of New York or the city of Lahore or London might have very different politics than the country of Pakistan or the country of the United Kingdom or the country of the United States. It might well be that this politics is far more inclusive. It might be that we want to devolve to these areas more power [in order] to be less tribal, if [the citizens of these places] should choose to be so and to solve their problems better on their own. This doesn’t mean that Lahore no longer is a part of Pakistan, but it could be that cities and small districts within countries get more power. And there could be an Asian Union or a World Union that looks at minimising armed conflict, at protecting the rights of migrants and ensuring a quality in doing so and these layers could come in on top of countries. What I am saying is that there are many different levels at which we must be thinking. We shouldn’t just think of the nation-state and what it can do. MB. As a writer, how do you think the relationship between literature and politics is going to change in the contemporary world? MH. I think we are likely to see much more politically committed literature coming out of America. There was a sort of complacency that had crept in in America, especially among people in the liberal parts of the country, and most writers live in the liberal parts of the country. Just as you see so much politically committed writing coming out of Pakistan because so many of us are outraged by what’s going on in Pakistan. I think we should expect to see a lot more politically committed writing coming from America because many Americans are equally outraged by what’s happening in America. MH. 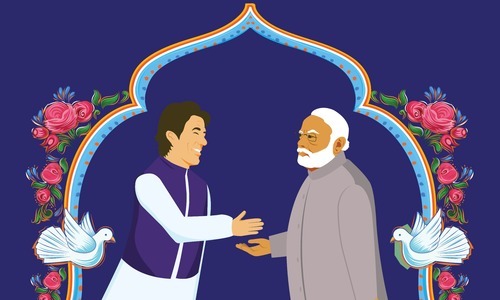 There is a very powerful line in the novel, “When we migrate, we murder from our lives those we leave behind.” As someone who calls himself a “transcontinental mongrel” don’t you think when we migrate from one place to another, we create a new self? MB. Certainly, we do. But there is an emotional violence to removing those people from our daily lives who were very close to us. If I leave Pakistan and move to America and I take my children with me and I leave my parents behind, it may well be that that movement allows me and my children to flourish. But certainly, there is an emotional violence that occurs towards my parents who no longer get to see their grandchildren every day. But just because there is an emotional violence doesn’t mean that one shouldn’t migrate. That’s up to the individual whether he should migrate or not but it’s important to remember that there is an emotional violence to it because we often think that the migrant is coming to freeload off of their adopted country. They are coming to take our things. We forget how much they have suffered to come, what they have had to give up, the emotional violence that they have had to do to all of their loving relationships to leave and come to where we are. So I want to make that point that the migrant doesn’t come looking for something for nothing. Migrants have already paid an extreme price in terms of the loves that they have had to sacrifice to come. MB. Your previous three novels took you six to seven years each to complete. You once called yourself a “seven-year novelist”. But this novel seems to have taken a lot less time. How have you evolved as a writer since the publication of Moth Smoke? MH. It’s a funny thing. Have I become quicker because I am older? Maybe I am learning what I am doing. I honestly don’t know why this book took four years. I don’t know if the next one will also be quicker. For me, four years is very quick. My first two novels took seven years each, the third one took six, and this one four. Much of the time that I spend writing a novel – the first two, three years – usually I am trying different forms, different ways of constructing a novel and I am trying and failing and trying and failing for a very long time. I was talking to somebody on Skype in a different part of the world and I thought it’s almost like a window between us. And I started thinking about this and my phone, how my phone takes me to the news and entertainment and all over the world. And how you get on an airplane and fly to New York or London or Dubai or Bangkok. You step through this door and almost magically, within a few hours, you are in a different world. I had this idea of a novel where these doors open. I think I already had an idea of the form of the novel when I began writing. And when I finished writing, the novel emerged pretty much the way you have read it. But I can’t guarantee that I have changed, that I am a quick writer. The writer is a Fulbright fellow pursuing a doctorate in comparative literature at the State University of New York at Binghamton. 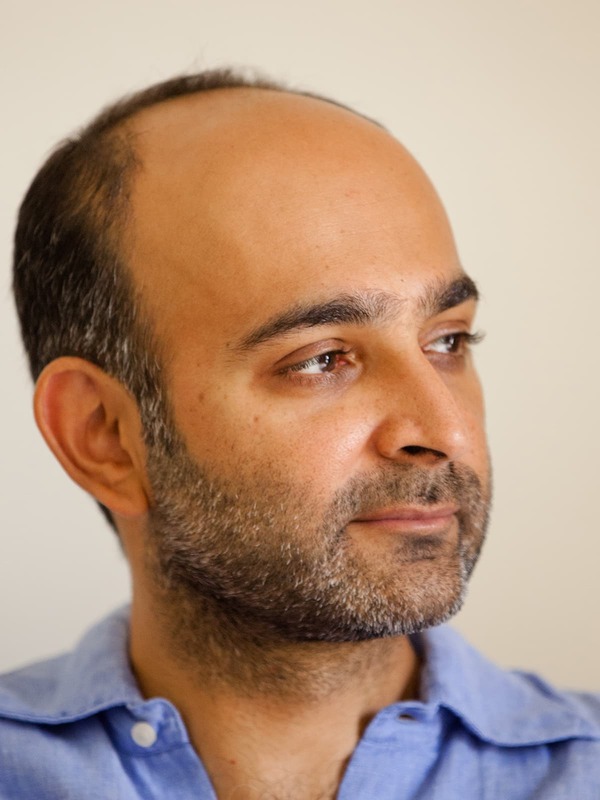 His book Writing Pakistan: Conversations on Identity, Nationhood and Fiction was published last year.